Being that we are professionals in the Oriental wool rug washing industry, we do know a thing or two about the equipment and solutions that are required to complete a safe and thorough cleaning. No matter the style or method used to wash a high end natural fiber rug, there are going to be some tools that are required to achieve the best results that are possible. When a natural fiber rug is washed in our facility, we use a variety of tools, solutions and methods that are highly effective. Our rug technicians are thoroughly trained in all of the techniques and tools that are used during the rug washing process. This helps to ensure that no matter which portion of the process a rug technician is completing, that technician will know exactly what they are doing. Natural fiber rugs can actually come in an enormous variety of types. The commonly used term to describe natural fiber rugs is “Oriental Rug”. The term is generically used, but does actually fit any rugs that were originally crafted in the area known as “The Orient”. Oriental Rugs typically are hand woven or machine made in an area that reaches from Northern India to Central Asia to The Middle East. This area even covers rugs made in North Africa to Morocco. This area is also referred to as “The Rug Belt”. These days most rugs are mass produced using large machine looms. These looms can crank natural fiber rugs out at a pace that is incredible when compared to hand weaving. A large, heavily detailed hand woven natural fiber area rug can take over a year to craft. There are differences between the two, with the most prominent being lifespan. If a hand knotted woven natural fiber rug is cared for and used properly, it can last for generations. A machine woven natural fiber rug typically has a lifespan of around twenty years. High end natural fiber area rugs can be labeled by more specific areas where they are crafted. Persian, Iranian, Turkish are all great descriptive terms for area rugs as they give you a more specific idea of where the come from and how they were crafted. Often, hand woven area rugs will have unique features about them based on where they were crafted. Different knotting techniques (Persian Asymmetric Knot or Turkish Symmetric Knot), different fibers (Wool, Silk, Cotton), different dyes (Vegetable, Insect, Synthetic) and even different visual pattern designs (Floral or Geometric) can help to identify what region of the planet an area rug is from. Natural fiber hand woven rugs typically have clearly distinct tells based on where they were crafted. It is quite common for Asian or Middle Eastern rugs to have pictures essentially woven into them. Landscapes are very common, as are images of important people, places and events. 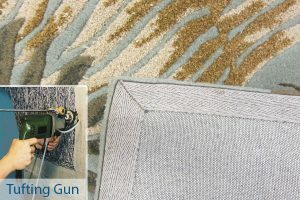 As mentioned before, it can be quite difficult for the untrained eye to spot the difference between a hand woven area rug and a machine made area rug. There are some differences you can find if you know what to look for. One crafting type is called Hand Knotting. Rugs made by using a hand knotting process are crafted on a loom that is specially designed to help the rug weaver successfully knot the rug by hand. The hand knotting process is greatly admired for it’s artistic craftiness and length of time the process has been used. The size of the specialty loom determines the limits to the size of any rug crafted on it. The specialty rug weaver creates the pile of the rug with these hand knots. 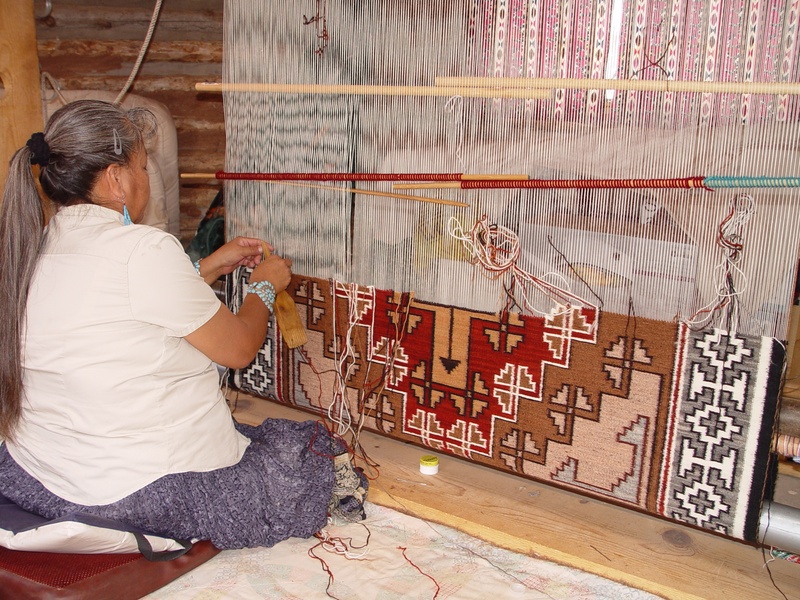 The knots are inserted into the foundation of the rug by the rug weaver and are tied by hand. The weaver begins at the bottom and works their way upwards with the knots. This operation is very delicate, intricate and time consuming. We mentioned earlier that a highly detailed hand woven rug can take over a year to craft and you may now be able to understand why. Hand knotted rugs are most commonly made of wool, with a base of cotton warps and wefts. They can also have pile made of cotton, silk or jute. Often, silk will be used in a wool pile rug to accent or highlight particular patterns woven into the rug. Natural fiber rugs crafted through the hand knotting process are often used as collectible art. If you think about it, there is a great chance you have been somewhere that has had a hand knotted rug displayed on a wall as a piece of art. These types of area rugs are typically a bit more expensive than other types, but the long life span makes it well worth the purchase. Another type of hand woven natural fiber area rug is a Flat Weave Hand Woven Rug. These rugs are typically made similarly to hand knotted rugs, in that they are crafted by hand by a master rug weaver using a loom. Although, these rugs are crafted using a flat weave as opposed to a more prominent hand knot. The hand knotting process provides the area rug with a taller pile. The taller, thicker pile provides more weight to help keep the rug flat and in place. Hand knotted rugs with a high pile usually have a softer more comfortable feel to them as well. The flat hand woven rugs differ from hand knotted rugs in the way the name suggests, they are essentially flat. A flat weave hand woven area rug has no pile. It is a very thin and light rug. It is always suggested to use a pad under an area rug, but it is pretty necessary for a flat weave hand woven rug. If you do not use proper padding underneath this type of area rug, the rug will feel no more comfortable that the floor is lays on, nor will it stay in place without heavy placeholders that can cause permanent damage to the woven fibers. The more commonly crafted and purchased type of area rug these days are Machine Made area rugs. 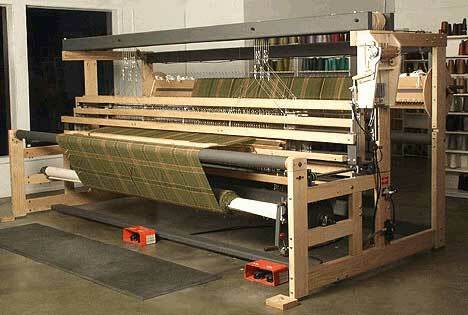 Manufacturers will use modern machines to mass produce area rugs quickly and more cheaply than any hand woven rugs. The machines used are called power looms. 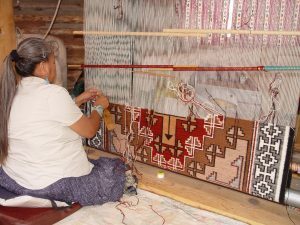 The machine and the process are similar to hand weaving techniques using looms, but are automated and electrically controlled by computers. Machine made rugs can be crafted using a variety of materials. 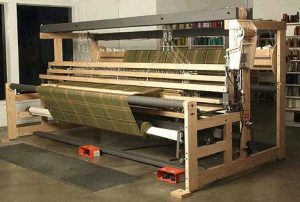 The standard natural fibers (wool, cotton, silk, jute) or a selection of synthetic materials (polypropylene, polyester, nylon, acrylic) can be used by these machines to rapidly mass produce area rugs as a cheaper rate. The price for a machine made rug is typically much less expensive than a hand woven area rug, especially if the machine made rug is made of synthetic materials. The synthetic materials have more up front durability, so they can be cleaned using more vigorous methods. Most synthetic area rug owners have their rugs cleaned in home using a standard truck mounted unit hot water extraction cleaning service. While the synthetic materials are cheaper and have more up front durability, they are no match for the long term durability of a natural fiber rug hand woven by a master rug weaver. The average life of a machine made rug is around twenty years. The quality of craftmanship, materials used and level of maintenance performed play into the life span of any area rug, but a well maintained machine made rug should last up to about twenty years. Twenty years may sound like a long life span, but when compared to well hand woven natural fiber rug’s generational life span it seems a bit lacking. Some brands are made better than others and offer more upside in their rug’s life spans. Karastan is a rug making brand that crafts their machine made rugs in the United States and typically offers the highest quality machine made rug on the market. 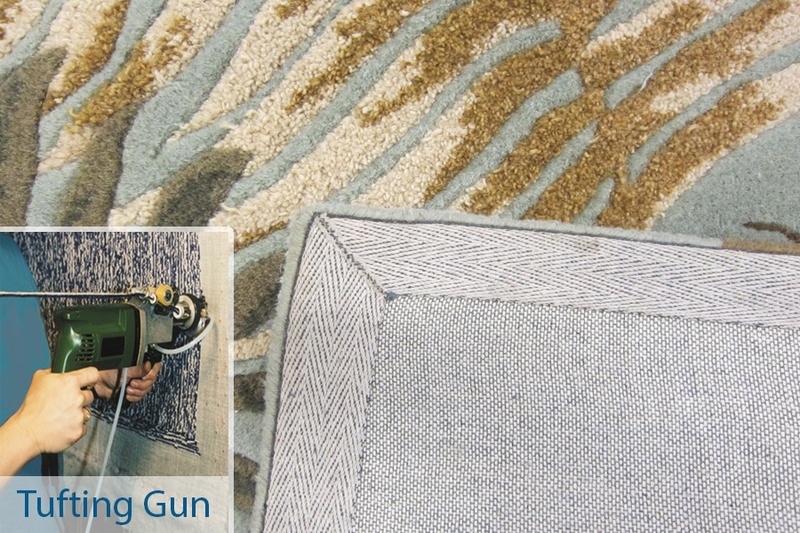 They are a bit more pricey, but offer superior quality and design for a machine made area rug. Hand Tufted Rugs are another popular area rug type that you will find laid out in many homes and businesses. A custom made hand held tool attaches a latex based backing into the pile by inserting the pile into a cloth foundation which creates a pile in which each fiber is looped. Some rug weavers will shear the looped fibers, which will leave the rug with what is called simply enough a cut pile. If the master rug weaver leaves the looped pile in tact, the rug is considered a Hand-Hooked Rug. A combination of looped and sheared fibers are used sometimes to create a depth to an area rug. Similar to lining designs with silk, this is meant to bring attention to certain portions of the area rug. A latex coating is applied to the back of a tufted rug at the end of the crafting process. It is usually glued on and it holds the tufts (collection of fibers) in place. Tufted rugs are quite popular because they will give you the look of a hand knotted rug, but for much less of a cost. The hand tool used to craft hand tufted rugs makes the process incredibly faster than traditional hand weaving, with some tufted rugs with simple designed piles taking as little as a single day to produce. These rugs are more for economical in home regular use. They will not appeal to collectors or purchasers who are looking to make an actual investment in their purchase. There is more to know about the variety of rugs out there and we will provide more information in future posts. Thanks for reading and feel free to reach out to us with any and all rug questions you may have! What Is Rug Padding?Pets Can Be Pesky!